Some collect driftwood. Others collect memories. Seek out classic relaxation removed from modern times. The world’s second longest sandy beach anchors long sunny days and starry nights. Close your eyes and listen to the waves or have your eyes opened to the delightful array of shops, treats and old-fashioned family fun on Main Street. Rent a bike. Ride the waves. Hike the falls or discover a good book. There’s a different speed for everyone at Sauble. Watch our Sauble Beach video on YouTube. For your swim gear, visit Jack n Jill’s Surf Shop, or the Cabana Beach House. For stylish summer wear, on and off the beach, visit The Garage Clothing Co.
For your cottage decor visit One 0 Six On Main and Sauble Beach Antiques. Looking for some snacks for the beach? 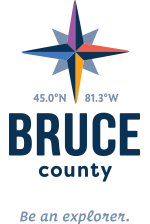 Stop in at Bruce County Nut and Fudge for their popcorn, fudge and chocolate bark. Spring and fall are the best times to hike the Sauble Trail to Sauble Falls. Overhanging trees and the tiered waterfall make for a perfect Kodak moment. See hundreds of vintage cars and motorcycles along Main Street every Tuesday night during the summer at classic Cruise Night. Rent a Stand up Paddle board from SUP Sauble Beach and paddle along the Lake Huron shoreline. In the summer, join the fun at the Sauble Speedway on Saturday nights to cheer on the Thunder Cars, Four Cylinders and of course – lawnmowers! Solas Grill is known for the beachfront patio and homemade pizzas. Bring burgers and fries from The Crowd Inn or Mars Fries back to the beach towel. Craving tacos? Casero Taco Bus serves fresh, locally-sourced, homemade Mexican Cuisine. At Beach Burger, sink your teeth into a juicy burger topped with pineapple. For an eclectic cafe experience, visit Two Chicks Cafe and Smoothie Bar. Open year round, Sauble Dunes will satisfy steak lovers with their Steak and Caesar Salad special. With many campgrounds to choose from such as Carson’s Camp, White Sands, Sauble Falls Tent and Trailer and of course Sauble Falls Provincial Park, your adventure continues into the evening for campfires and s’mores. If you are looking for a comfortable bed down river from the falls, stay at Sauble River Marina and Lodge Resort where you can rent canoes, kayaks and bicycles.